They are held the first Monday of each month, 5:30 to 7:30pm at 15550 27th Ave NE, Shoreline 98155. This month's dinner is Monday April 1, 2019 and features Chicken stew with dumplings (and a vegetarian version, of course), nettle and white bean pesto, spring greens, lentil and radish salad, and lemon pound cake. "One man's weed is another man's salad," a wise person once said. 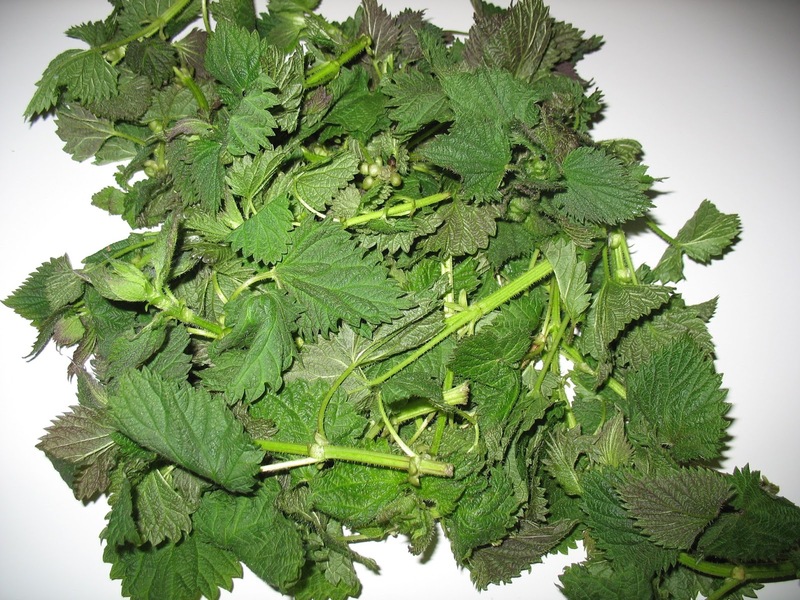 You can find nettles at spring farmers markets, or you may have them growing invasively in your own back yard. They're actually packed with flavor and nutrients, and they're great for allergy relief. Save the cooking water, add honey, and drink it hot or cold. Steam or boil the nettles for about 5 minutes. Use gloves to handle them. Transfer the cooked nettles to a food processor, along with the white beans and miso, and puree until smooth. Add additional miso to taste.